Q. Will I be eligible for any guest house/any other company provided accommodation in the initial days of my joining? Yes, you would be eligible. This facility is available in limited locations only. Q. For how many days can I avail the guest house/any other company provided accommodation? You along with your family (spouse, children and dependant parents) can be on tour status up to 7 days to enable you find a suitable accommodation. Any Stay over and above this period shall be borne by the employees. Q. In case I am unable to find an accommodation within 7 days, can I extend my guest house / any other company provided accommodation? Ideally you should be able to find an accommodation within 7 days, however, stay beyond that requires an approval of the Head of the Department. You may check with your HR Contact in this case. Also, the expenses for any stay over and above 7 days shall be borne by the employee. Q. What are the expenses covered as a part of accommodation? All expenses shall be reimbursed for a period of 1 week. Post this employee will bear all costs. Liquor and telephone expenses will have to be borne by the employee. Before checking out from the guest house, employee must verify and sign all the bills in presence of the caretaker. Q. Can I get to and fro fare from guest house to my work location claimed? The company does not take care of the to and fro fare to office. However if you go on official duty after you come to office, the same can be paid. Q. What are the joining expenses I can claim? Actual expenses incurred on packing, loading, transport, insurance, octroi and unloading will be reimbursed upto one truckload. In all cases, three quotes are to be submitted to the location HR /Administration department for prior approval. All transport and packing charges will be in the name of the company and paid directly to the vendor. All personal assets are to be transferred by rail/road. The employee is not permitted to claim excess baggage when traveling by air. In case an employee leaves the company within a year from his/ her joining, all the expenses claimed above shall be recovered without interest from his full & final settlement of dues. *Pls Note - The reimbursement is level / grade specific so pls check with your HR Contact for the eligibility as per your level/grade. Q. Can I take the joining expenses before hand based on estimated expenses and claim them against bills after joining the company? Q. How do I claim joining expenses? A joining expenses claim form needs to be filled along with original bills attached and submitted to the concerned Personnel / HR department. Q. Can the joining expenses be directly credited to my account? The joining expenses can be directly credited to your account. Q. Does the company reimburse brokerage charges towards locating a house? Brokerage amount is paid by the company only once during the tenure of the employee and only where an employee avails company leased accommodation. *Pls Note – Brokerage is provided to certain levels / grades only so pls check with your HR Contact for the eligibility as per your level/grade. Q. Does the company recommend any particular Movers & Packers for transportation of household goods? No, we would recommend you to take at least three quotations and negotiate with the Packers & Movers. It’s a mediclaim policy for covering the expenses related to hospitalization of the employee or the dependant family members. The mediclaim cycle is from January to December. Q. Can I modify the family member information in the mediclaim policy later during the year? Q. How much premium do I need to pay? Q. How can I apply for the same? The mediclaim form is a part of the joining forms that you will have to fill. Q. Can grandparents/brothers/sisters be included under this policy? They can be included in the policy, but the premium has to be paid by you. Q. What is Mediclaim Policy? Q. Can the parents of my spouse be included under this policy? Q. What are the Office Timings & Weekly Offs? The official working hours at the corporate office are 10.00 am to 5.30 pm with a half an hour lunch break between 1.30 p.m. to 2.00 p.m. The weekly offs at the corporate office; are 2nd and 4th Saturday & all Sunday. Manufacturing units will adhere to the weekly offs as per their prevailing local practice. Q. Does JK Tyre have tie-ups with schools? Company does not have any tie-ups with schools. You will know it through the yearly PF slips as mentioned above. Q. When is the salary day in JK Tyre? Salary is credited to the employee salary accounts on the last working day of the month or 1st day of next month. However, if you join after the 21st of a month, your salary for the month will be paid along with the next month’s salary provided you have submitted all of your joining forms to HR on time. Q. How many numbers of leaves would I be eligible for in a year? There are 16 Public Holidays in a year. 30 Privilege Leaves, 8 Sick Leaves and 7 casual leaves up to DGM level. Q. I already have an account in ICICI Bank; can the same be converted into a corporate account instead of opening a new account? We have tie up many banks; you may talk to HR function of the respective location for choosing the bank. Q. Will I be eligible for a mobile connection from the company? You can avail of corporate connections subject to your eligibility and prior approvals from your superior. However reimbursement is as per eligibility. Q. Is there a cafeteria facility available at the location? Yes, there is a cafeteria facility available at all manufacturing locations except corporate office and regional offices. In manufacturing locations employee and the employer together contribute for the same. Q. Does the company provide me with transportation to the plant locations? The transport facility is available in chennai plant only which follows various routes. Q. Where is the Corporate Office of JK Tyre located? 3, Bahadur Shah Zaffar Marg, Link House, New Delhi, India Tel. : +91 11 33001112. Q. 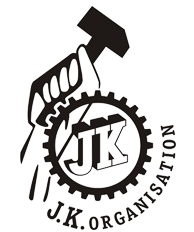 Does JK Tyre have a Superannuation Scheme? The superannuation policy is in place. Q. I want to get my PF account transferred, how can I do that? Form-13 is provided to you in the list of joining forms, the same has to be filled and submitted to the HR contact after you join.